These are stamps from a grab bag I won with Gina K Designs. 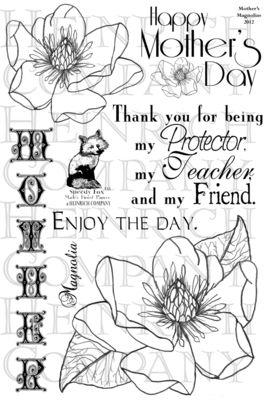 I won this stamp set called Mother's Magnolia from Mark's Finest Papers. I won a challenge at Crafty Catz Weekly Challenge. 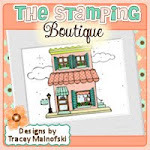 The sponsor is The Stamping Boutique so I got to choose 3 digi stamps from their shop. There's so much to choose from, I had a hard time deciding. To all these awesome companies.